If you’ve started noticing your old dog is peeing a lot, then you absolutely have to read this article! It’s pretty common to assume a lot of the changes we start seeing as our dogs get older are a natural part of aging. While something like more grey around the muzzle is, many things are not and a dog peeing a lot is not. More exercise = more water = more peeing. If your dog has recently started exercising more or for longer periods of time, it stands to reason he will be thirstier, drink more water and of course have to pee more. Have you made changes to your dog’s diet? Changed his brand of dry food or started feeding him dry? Perhaps it’s the opposite – he’s eating more/different canned food, or you’ve added fruits or vegetables to his current diet which contain quite a bit of water. You may have moved to a warmer climate, are on vacation with your dog somewhere hotter than he’s used to, or as he ages doesn’t handle the heat as well. All of these factors will lead to greater thirst and more peeing. If the urine is particularly pale it’s likely your dog is not concentrating it due to a hormone issue. My old dog Red (R.I.P) had this problem but was well managed with a human hormone product called Desmopressin. A urinary tract infection not only causes an urgent need to pee, but an increase in thirst as well. Red had a couple of UTIs which my vet believed were a result of her “picking something up” because of how low she crouched to pee. If that turns out to be the case for you, using doggie wipes afterwards can help. A new medication may be causing the frequent need to pee. Unless you know a new medication is causing the peeing, or your dog really is exercising and drinking more, I highly recommend making a vet appointment to have your dog checked. Actually, even if you think you know the reason, if it’s been awhile since your pup has had a check-up, now is as good a time as any. Here are two things you can do ahead of time that will make the limited time you have with your vet as productive as possible. Having notes prepared in advance is a great way to make use of the time you have. It helps ensure you don’t forget any important questions you want to ask, or information you need to share. Your vet is going to want a urine sample, so it’s quicker and easier if you bring one with you. Collect the sample no later than 2 hours before your appointment, catch it mid-stream and do not refrigerate. We can’t discuss treatment options if we don’t have a diagnosis. What I can say is it’s quite possible your dog is dehydrated, and your vet may want to keep him at the practice on fluids for a few minutes or a few hours. A rehydration support may also be recommended to add to your dog’s water bowl, which is what I used to do for Red. It was called Royal Canin Rehydration Support. No one is happy to find pee stains on the carpet, but none of this is your dog’s fault. They need us to be kind, compassionate and to help them. Please do not yell at your dog or heaven forbid dump him in a shelter. Hopefully once a diagnosis is made and treatment prescribed the problem will be a thing of the past. Having said that, it’s entirely possible it will be an ongoing issue, but luckily there are things that can be done. Pee pads were an absolute life saver, or should I say carpet saver, and many times I wished I had thought of buying stock in the company! Put a couple down near your dog’s bed, and/or a corner of a room and show him where they are. There are lots of videos on YouTube that can help you teach him to use one. Red was blind so obviously couldn’t tell the difference between the carpet and the pee pad. In her case I would block off an area for her to stay in when I was out and cover it in pee pads. At night I would line the hallway in case she had to pee in the middle of the night, and once dementia set in my entire floor was covered. Yes it drove me crazy sometimes, but none of this was her fault and we do what we have to do to care for our old dogs. Many senior dog parents have had success with dog diapers. They are available in disposable and washable varieties so have a look on Amazon or a pet supply store. Waterproof and washable dog bed covers are worth looking into, and pee pads under the dog bed will protect your flooring. 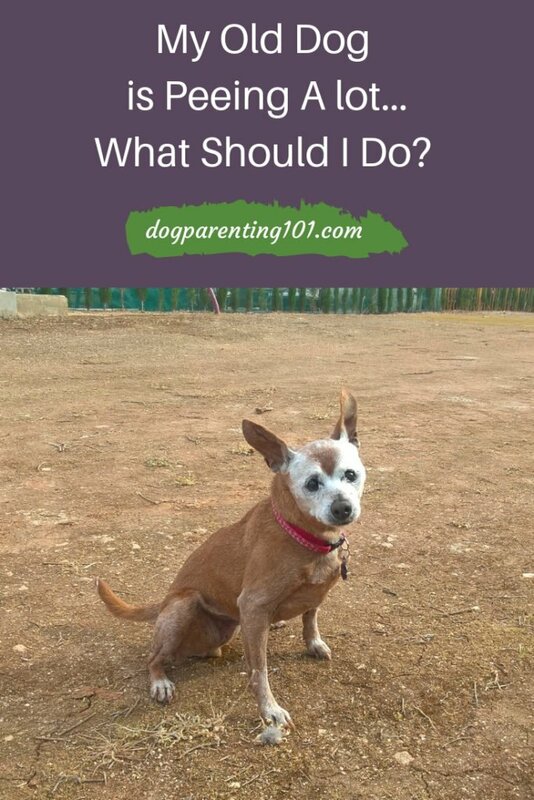 I talk a lot about the importance of keeping an eye on your dog’s behaviour, particularly if you have a senior dog. Any changes in behaviour, no matter how slight they may seem to you, are always worth investigating. Some older dogs can go downhill quite quickly so a “wait and see” attitude is never a good idea. I know I’ve already said this but it’s worth mentioning again. Please be patient with your old dog, it’s not his fault this is happening and please don’t surrender him because you have some extra cleaning up to do. 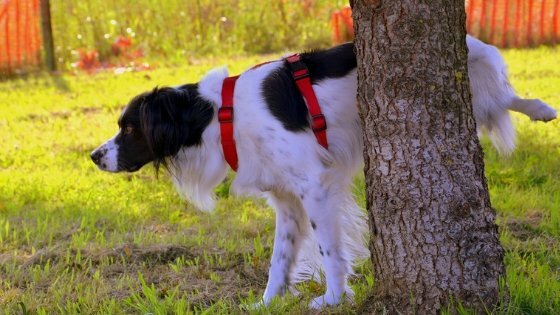 Have you noticed your dog peeing more often? What was the diagnosis and how have you been treating it? Sharing helps others so leave your comment below. or on my Facebook page. 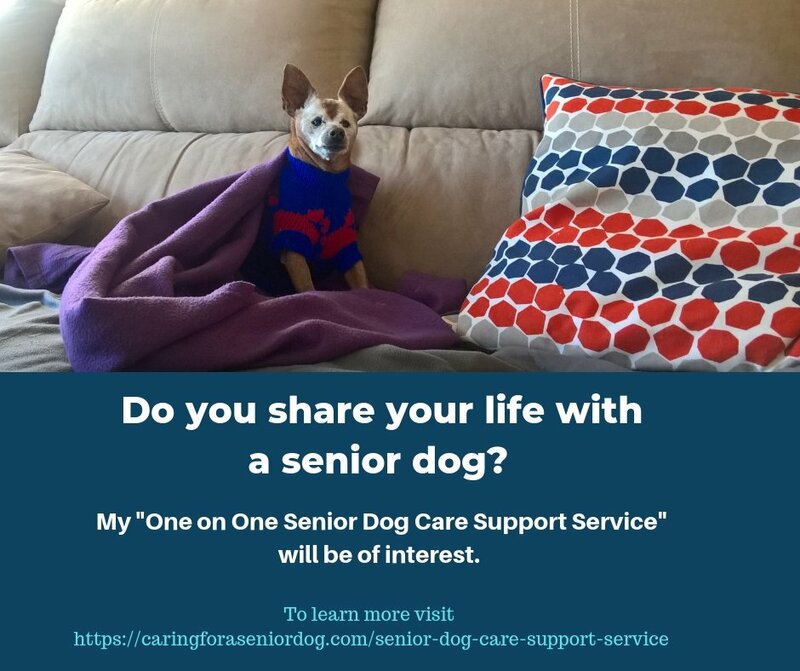 I would like to invite you to join Senior Dog Care Club, a new Facebook group for senior dog parents. There you will find lots of helpful tips and advice, a place to ask questions and share experiences. I look forward to welcoming you.